The Peony is any of various garden plants of the genus Paeonia. The flower has large, variously colored flowers with numerous stamens and several pistil. 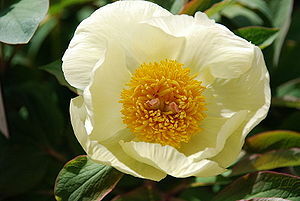 On March 15, 1957 the peony (Paeonia) was adopted as the state flower of Indiana.